Securing critical information has never been more of a challenging commitment to members than it is right now. Despite the bevy of cybercrimes commanding headlines over the past two years, nearly half of all financial organizations are not expanding their security budgets. Your security team is competent and dependable. You crush the day to day very well and everyone is happy with your performance. But, when milestones outside your day-to-day roll around (such as your IT compliance audit), the workplace becomes a bit of a madhouse and stress levels rise. Business has boomed for your small credit union. Congrats! You’re growing! But you’re in that strange sort of limbo stage where you’re not quite large enough to hire on needed additional security personnel – and definitely not ready to invest in an in-house Chief Information Security Officer (CISO). You’ve been able to balance the day-to-day and compliance well enough because you’re smaller in size and have rockstars working for you, but these rockstars are becoming noticeably over-stretched. Your credit union is either right on the cusp or finally ready to hire a CISO full-time, but you’re entertaining the idea of hiring a Virtual CISO for the interim (or possibly the long-haul) if you find it meets your needs. You know this would relax budgets and give you a proper amount of time to really find a qualified CISO professional that could meet the needs of your organization at the correct price point. Chances are at least one of these scenarios has a bit of semblance to your organization. They all seem to boil down to the same problem: your IT staff needs just a little of the work taken off their hands to remain both safe and compliant while also satisfying the daily needs of your organization. Moreover, this solution needs to be both effective and inexpensive. Adopting a virtual CISO service as a supplement to your security team may bring you just the answers your organization craves. How Does a Virtual CISO Differ from a Traditional CISO? A Virtual CISO is little different than a CISO: they both address the Board, establish and maintain the security program, implement strategy, and move the program forward with the enterprise vision of the organization. The biggest difference is that the virtual CISO is not onsite full-time. But, what you receive with a vCISO is not just an individual, but an entire team with compounded experience and multiple certifications. Secondly, they are generally malleable and can easily conform and adapt to the needs of your organization, as they are used to working with many different organizations. Lastly, a virtual CISO service is significantly cheaper than hiring a full-time professional. A traditional CISO requires a yearly investment of around $218,000, and that cost rises as you move into larger metropolitan areas. A common misconception about adopting a virtual CISO is that it needs to totally replace your current, established security program. This really isn’t the case at all. In fact, the most effective and economical approach to using a virtual CISO service is to do so supplementally. To use a vCISO supplementally means to let your security provider manage certain aspects of your security program for you. The biggest example of this can be seen in compliance. Collecting and storing evidence of your security controls is a year-round responsibility often put aside for more immediate business concerns. As we saw in our opening scenario, the time of your audit breeds unnecessary stress and distracts your security team from what truly matters to your business. Using a managed compliance portion of a virtual CISO service allows your team to wash their hands of this time-consuming task. This advantage of using a vCISO service supplementally is not limited to compliance alone. One of the biggest roles a Chief Information Security Officer must fill is designing a security program based around mitigating risk. A proper vCISO has the tools to calculate and assess your risk for you. From here they work with you to develop a program that gives you a roadmap to building both an effective and cost-efficient cyber defense strategy. Lastly, a virtual CISO can be hired on for the purposes of regularly testing your program and training your employees. This portion of the service gives you dual strength against the most common types of cyber attacks: network penetration and social engineering. Placing a qualified team of security personnel in charge of regularly assessing your network vulnerabilities while simultaneously advancing your team members’ knowledge of how to prevent phishing and targeted social engineering attacks gives your business the much-needed advantage over hackers. Don’t let the increase in cybercrimes cause you undue stress. 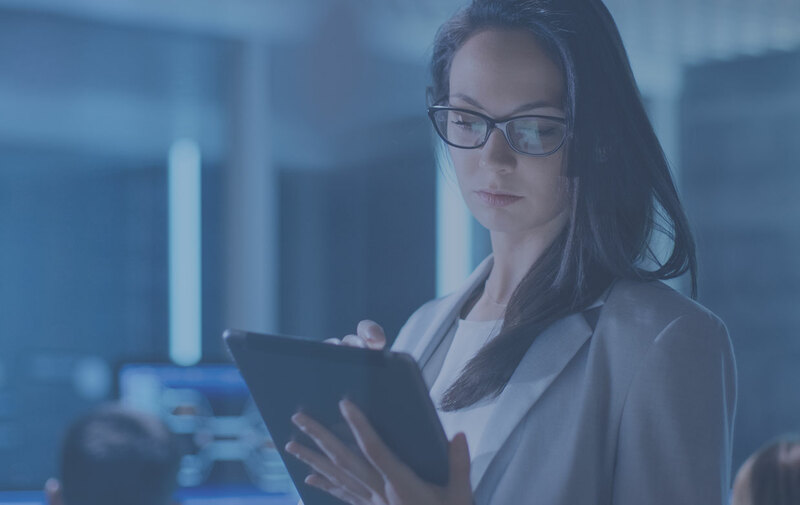 While securing critical information is a challenge to every financial organization, a Virtual CISO can give you the security your members require without having to suffer the cost of a full-time, in-house CISO.